These Long Established Giant Car Boot Sales are genuinely the Biggest, Busiest & Best in Buckinghamshire, Berkshire & Greater London . 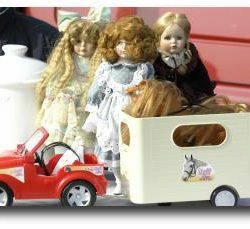 These Car Boot Sales get visitors from all over the Country Selling and Buying. A huge variety of items are for Sale. A great day out for all the family. DENHAM GIANT CAR BOOT at the Denham Roundabout is open this Saturday 27th April 2019. Then open Every Saturday. TAPLOW-MAIDENHEAD GIANT CAR BOOT on the Main A4 Bath Road is open This Sunday 21 April and Easter Monday 22 April and every Sunday and Bank Holiday Mondays. If in doubt about the weather on the morning of an event. Please phone 07947 121336 to hear message before setting out on the morning. (Usually the decision to open or not is made early in the morning). The phone message is updated immediately if there are any changes. Join our mailing list to receive the latest news and updates from our team. Don't worry we won't send lots! We promise never to sell your data as we hate spam too! Really good car boot. Staff very helpful and friendly. We thoroughly enjoyed our day out and picked up some lovely items.